Diwali is auspicious festival of hindus. In India Diwali is celebrated with lot of bliss and happiness. Diwali is festival of lights. This year diwali celebration will start from Dhan Teras 9th November, 2015 and will end on Bhai Beej 13thNovemeber, 2015. This year Diwali will be celebrated on 11th November, 2015.On Diwali people wear new cloths, decorate their homes, made good food, prepare colorful rangoli and fire crackers with family and friends. Diwali is on the way with lot of joy and full on excitement. You must be ready with list of shopping items and must be looking for discount offers to save more money. 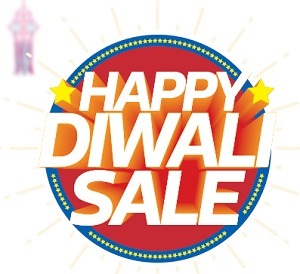 We are herewith best discount offers and bumper sale details of Diwali 2015. LG – These Diwali LG is offering multiple benefits to customers. Free Audio/Video products on Television. Free Flexi Mount Bracket on selected models. Free 21L convection microwave oven worth Rs 14,690 with side by side refrigerator. Water Purifier Free maintenance packet worth Rs 4200. 10 year extended warranty of selected products. Additional 5% cashback for use of SBI debit card – Transaction 25,000 Rs and above. These offers are valid up to 15th Nov, 2015 only. Samsung – Samsung is offering following Diwali festival offers. Free Samsung mobile and Tab on purchase of refrigerator. Up to 21% off on exchange or refrigerator. This year Snapdeal is offering online sale of House/Property. Following Diwali offers are available on house/property. Brigade Group – Bangalore – Waiver of 1 car parking charges. Hope you will enjoy diwali 2015 offers mention in this article. If you come across any other discount of diwali offer do share with your friends by adding it in comment section! Don’t forget to share this diwali offers on your facebook timeline!